Mum really enjoyed the visit from my brother and his partner. She enjoyed having different people to talk to. But then, two fresh, temporary carers have to be better than one grumpy, monosyllabic daughter. She also enjoyed a change of diet. She had bacon sandwiches – which she likes very much, but which she never gets from me because I don’t eat bacon and won’t cook it; she had sausage and mash – which she also likes. But although I will cook her sausages (in a different pan from my veggie ones!) I get bored mashing the potatoes. Mum complained so much about how my mash was so lumpy that I now refuse to do it; and she also had take-away fish and chips – which I do eat, but can’t provide as I don’t have a car to go and fetch them. For my brother and his partner it was a novelty; after two nights, they could leave and go back to their own lives. And as brother admitted, they did not have to deal with any messy ‘events’. Well, good, I’ve already booked them in for a second visit. Just being able to walk away from the house, knowing mum would be 100% looked after, made a huge difference. To be able to hand over the responsibility of mum’s care to my brother and head off to the station, felt like I’d laid down a burden. And even though my break lasted little more than 48 hours I felt much better for it, with more energy to carry on with what is an increasingly heavy task of sheer drudgery. I spent my free time in London. I stayed with my South London pals, one of whom I’ve known since school. It was so civilised not having to get up at the crack of dawn, get mum changed and then make a dash for the station, praying the train would be running. It was so relaxing to be plied with delicious food and sensible conversation the evening before. Then, the next morning, to eat a leisurely breakfast and get a bus over the river. We were meeting up with two other old school friends at the Tate Gallery. We planned to see the new retrospective exhibition of David Hockney. When I walked into the exhibition, I almost burst into tears. I felt as if I’d found my identity once more; that I was again a person I recognised, the sort of person who goes to art galleries. And I’ll say in brackets that the next morning, before I returned here, we went to see another exhibition, this time of Vanessa Bell, which was equally wonderful, although in a very different way. But back to our rendezvous at the Tate. After lunch, we couldn’t decide what to do next. One of us wanted to check out a nearby boutique that sells individual, crafted jewellery; then someone else suggested we went to a cafe she’d discovered that was just round the corner. But the cafe had closed down. We dithered, trying to decide what to do next. We discussed getting a bus over to the South Bank. If we’d done that, we’d have gone round Parliament Square and crossed Westminster Bridge sometime around 2.30pm. When we talked about it later, we couldn’t remember why we’d suddenly changed our minds. But out of the blue, we decided to return to the Tate and have coffee there. Just after 2.30pm, a mad man drove his car into a crowd of innocent bystanders on Westminster Bridge. He killed a policeman outside the Houses of Parliament and was then killed himself. If we’d got that bus, we might well have been caught up in the mayhem. As it was, the Gallery was just outside the locked-down, cordoned off area and we all managed to get home safely. I don’t know whether I believe in Guardian Angels, but I certainly feel like I had a narrow escape! By the way, I apologise for not posting sooner but I had some IT issues and I just didn’t have the mental energy to sort them out…until now! I accepted I was on the point of collapse. I booked mum into the care home. All I had to do was struggle on for another week. But before that could happen, one evening I stood up and found myself in excruciating pain whenever I tried to put my weight on my right side. Which meant I couldn’t walk. I found an old walking stick that had belonged to my granddad, and managed to complete my tasks, getting mum into bed and such like. I felt ok as long as I was sitting still, but moving about was agony. Trying to get out of bed was agony. The local surgery is quite close, less than 10 minutes walk away. I had to phone for a cab to get myself round there. The Doc assured me the problem was purely mechanical. I needed to rest. But of course, I couldn’t rest so he gave me some strong pain killers which allowed me to carry on for the next few days. Once mum went off to the care home I collapsed onto the settee and hardly left it for over a week. At first, reading for hours on end felt like pure self indulgence. Then it began to feel weird: to sit on a couch reading for days on end is something you only do if you are very ill or, perhaps, completely exhausted. But I needed to do some things – like buy food, send cards for birthdays and wedding anniversaries which simply couldn’t be left. By now I’d found a proper walking stick that I’d used when I had a previous injury, so I got a cab into the centre of town and hobbled about. For once, I really appreciated that I live in a very small place! Then a cab home and back to the settee. I managed to extend mum’s stay in the care home for a few extra days. And I’ve been lucky to find a very good local osteopath. She explained my back muscles had gone into spasm. She’s suggested certain ergonomic strategies I can use when undertaking tasks which I have to do in my role as a carer – but which are particularly hurting my back. She also pointed out that there is age related ‘wear and tear’ which has exacerbated a certain weakness in my lower spine. Mum is home now and I’m being as careful as possible with my movements. In the short term, I’m improving. I can walk as far as the bus stop and get a bus into town and I hope to get back to normal eventually. But in the long term, I think this is a wake up call. It’s time to look for a permanent home for mum. No rush, we’ll spend the next few months visiting different places, testing the waters, but I can’t continue like this. I feel like I’m being hammered into the ground. 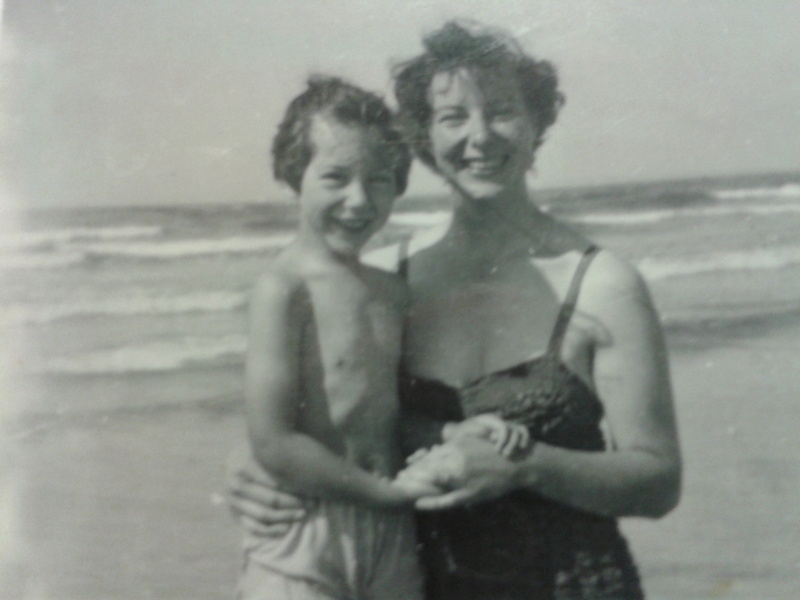 And I’ve told my brother he needs to do more to help me with mum – more about that in my next post! Mum still has most of her teeth – which is pretty good for someone of 96. (I hope my teeth last as long!) But for the last few months, she’s been complaining of a loose tooth in the front – and worrying she’d lose that tooth and have a big gap in her smile. The other evening she called me: I’ve found something in my mouth! She extended her palm. Look, it’s all brown. Her tooth had finally fallen out, painlessly and without any fuss. However, it wasn’t the most attractive looking thing. We both agreed it wasn’t worth putting under her pillow. The tooth fairy would not want it! And although mum does now have a gap, it doesn’t look that bad. As for the gap left in my life by the death of my old friend, well, that’s still very painful. Thanks to all of you who sent me messages, either through the blog or by other means. I’ve been feeling very downcast, incapable of action but the last few days I’ve begun to feel a renewed sense of hope. This could be because of the time of year – recently we’ve seen both the Chinese New Year and the early spring festival celebrated here since ancient times. Travelling to the funeral was dreadful but it turned out to be a half-full rather than a half-empty experience. It was a relief to be with other people, to speak about Brian’s life, to share memories and also to receive some TLC and support from my friends – rather than having to exhaust myself looking after mum and then to sit alone and sad. Last week, I went round to his flat to collect a couple of treasures that had been set aside for me. The brothers had already started to pack up his things. Needs must, I know. Nevertheless, it was very upsetting to see. I knew so many stories attached to the things in the flat – more than the family did. I was heartbroken to see everything being handled as if it were just stuff that needed to be got rid of. But, at the end of the day, it is only stuff. I still have my memories of a dear friend. And it was closure of a sort. I can no longer fool myself that he’s really sitting on his balcony in Palma, gazing out over the Mediterranean that he loved so much. That’s how it is. But it’s made me start to think of my own mortality. I know I’m depressed at the moment but I’m beginning to wonder just how much longer I can spend looking after mum. I really don’t want to just bundle her off to a Home but I’ve decided that, in spite of the cost, I’m going to place mum in the care home for a week to give me a chance to recover, to recharge my batteries and try and work through the back log of chores I can’t accomplish at the moment because I am so tired. And then, maybe, I’ll be able to think straight and make some decisions. Just as Cinderella went to the ball, my mother went to her granddaughter’s wedding. And in spite of it being a logistical nightmare, everything went smoothly. The hire car driver was a nice chap who dealt with mum well. He did the journey in just over 2 hours – which was really quick and just at mum’s limit. At the Care Home Mum had a bit of a wobbly ‘Are you leaving me here all on my own?’ but my niece saved the day by arriving with Great Grand Daughter – which improved mum’s mood no end. My hotel was about 6 miles away. To get there, I got a cab through the countryside, along dark lanes. I felt a little nervous but the driver was ok. And the hotel was good. It’s a converted manor house on the edge of a village. I had a single room but it was nice and big, obviously meant for people travelling alone on business. Mind you, it wasn’t cheap! And the bus back to town stopped right outside. So the next day I caught a bus into the central bus station, and from there I got another bus out to the Home. Mum seemed fine, so I got the bus back and found a groovy coffee bar that did really nice coffee and panini. I began to relax. Eventually I returned to the hotel, which turned out to be in a pleasant historical village. After dinner I met some people I knew in the lounge. My brother’s first wife – and the mother of his children -died tragically young, but her family have maintained close contact. I knew them from all those years ago and it was unexpectedly pleasant to see them again – which was good, because apart from them I didn’t really know any other wedding guests! The great day dawned. The staff at the Home seemed to enjoy the challenge of getting mum to the wedding. They arranged for her to have her hair done, made sure she got dressed in her wedding outfit without spilling porridge down the front – and were happy to welcome her back late in the evening. But I couldn’t have managed without my nephew and his wife who came up absolute trumps. They’d borrowed a folding wheelchair and nephew pushed mum around for most of the day. The church was on the top of a hill, as these charming old buildings often are. Nephew pushed her up the slope through the churchyard and then helped get her back down through the crowd of guests. Back at the hotel, we had the reception. Mum was mentioned in the speeches. Everyone clapped and cheered the fact she’d made it. She enjoyed seeing people; she even enjoyed the party in the evening. I thought she’d find the music too noisy but no, she really didn’t want to leave. In the end, I booked a cab for 10pm, which was quite late enough for old ladies of 95! Besides, until I’d taken her back to the care home – another scary drive through the dark countryside but again I was lucky and the driver was fine – I couldn’t really relax. Then I did have a couple of drinks and a dance. I even had a cigarette as we all sat around chatting until after midnight. Sunday morning brother, nephew and nephew’s wife took me and mum out for a woodland walk, which she really enjoyed. And then…..we left her to rest. Brother dropped me off in Glastonbury on his way home. I had a terrible night. When I woke up the next day, I thought I had the flu. I realised I was detoxing from all the stress that I’d been living with for months: should mum go? could she manage? Because she wanted to go so much, I’d tried to make it possible but, if anything had gone wrong, the responsibility would have been all mine. But I felt blessed, as they say, that I could detox and de-stress in the wonderful Chalice Well gardens and guest house in magical, mystical Glastonbury. But I’m pleased mum made the wedding – and so is she! She even said thank you! !